Maybe there are some of you guys don’t know much about SEOOW cable. I am goona to tell you some details about SEOOW wire. Do you know what these letters “SEOOW” stand for? There are many types of SO cable may appear confusing at first, but the varieties can be deciphered by an industry key. First of all, “S” means service cord. “E” means elastomer. “OO” means oil-resistant both inside insulation and outside jacket. And “W” means Compliance, Safety, Accountability (CSA) designation for weather and water resistance. Henan Zhengzhou Huadong Group is a professional SEOOW cable manufacturer. Welcome to visit our SEOOW wire factory at any time. What are the features of SEOOW wire? SEOOW cable has a thermoplastic elastomer jacket. Thermoplastic material softens during heating and then hardens during cooling. It is less durable than thermosetting materials, but SEOOW wire is flexible and lightweight. At the same time, SEOW cable has the characteristics of oil resistance, water resistance and weather resistance. In addition, the SEOOW wire has better low temperature function than SOOW line. SEOW cable is safe to use at temperatures below 58 degrees Fahrenheit. These are the basic features of the SEOW cable. If you want to know more SEOOW cable specs, please feel free to message us. 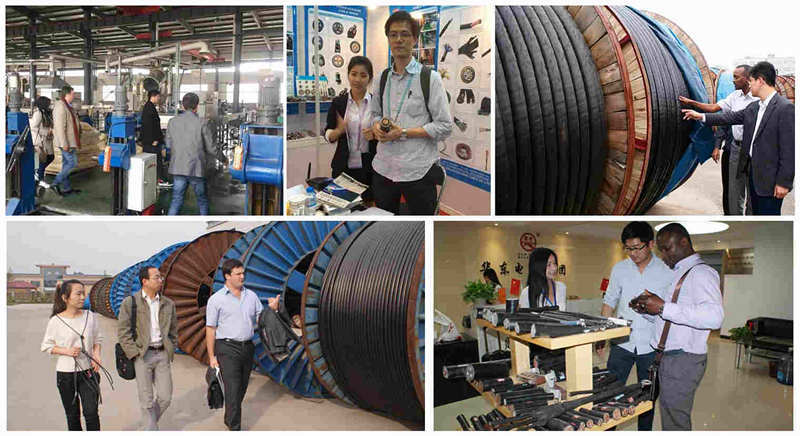 Email: sales@hdcweldingcable.com We are happy to answer your any question about SEOOW wire. What are the applications of SEOW wire? SEOW cable conforms to CSA’s outdoor permission. SEOW wire usually used for industrial projects, construction tools and other electrical equipment. However, it is recommended that you not use the SEOW line when touching the hot surface. In addition to these applications, SEOW cable has many other specific applications. I will not list them one by one. If you want to know more details about SEOOW cable specs, please contact me at any time. Starting custom your ideal SEOOW wire size, the factory price will send you within 12 hours. Package & Delivery: SEOOW cable package by iron or wooden drum or according to your requirement. Customer Case: Our SEOOW wire products have been exported to more than 30 countries, such as: Russian, America, The Philippines, Yemen, South America, North America, Middle East, Africa, Asia, Oceania countries and etc.